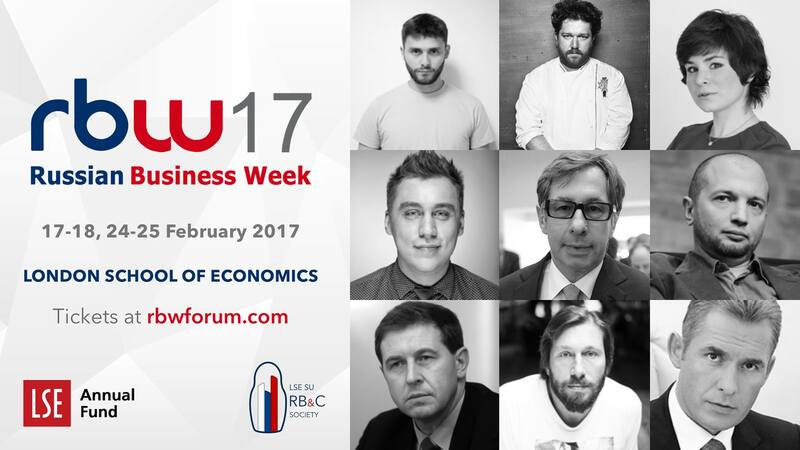 Russian Business Week 2017 (RBW) to be held at London School of Economics. The forum is proudly organized by the Russian Business & Culture Society, founded in 2005 at the London School of Economics and Political Science. The mission of RB&C is to foster UK-Russia co-operation and serve as platform, which connects Russian-speaking students and professionals. RBW will run on Feb. 17-18 & Feb. 24-25. Leading Russia's managers are among speakers: Poet, prosaist, media manager and one of the creators of the Russian internet Damian Kudryavtsev, former publisher of Afisha and current leader of Meduza internet-portal, Ilya Krasilshchik, an entrepreneur and the Chairman of the Board of Directors of the "Alfa Bank" group holding Petr Aven, and many others.